Fill a cocktail shaker with ice. Add the tea, Clove Syrup and lime juice and shake well. 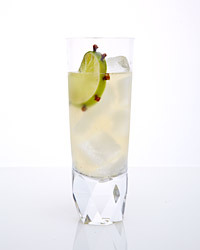 Strain into an ice-filled collins glass and garnish with the clove-studded lime wheel.